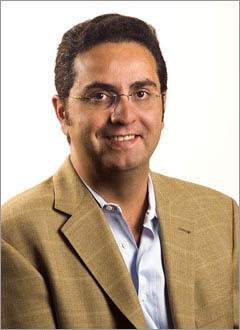 In January 2007, Raffi Festekjian succeeded Kevork Toroyan as Chairman of Armenia Fund USA, which was founded in 1992 as the first of Armenia Fund’s 18 international affiliates. For 15 years, Armenia Fund has combined aid, development and direct investment. By combining the resources of Armenia’s leaders, its people and the worldwide Diaspora Armenia Fund has promoted education, created jobs, improved public health and developed infrastructure, together with meeting other critical humanitarian needs. Today, Armenia Fund’s contributions to the social and economic prosperity of Armenia and Karabakh are unparalleled. Q: They say they are no coincidences in history. Can we say that about Armenia, the country, and Armenia, the Fund, celebrating their 15th anniversary this year? A: The coinciding anniversaries of the independence of the Republic and Armenia Fund is not just a coincidence. The establishment of Armenia Fund was an acknowledgement to ourselves and to the world that, yes, we are independent and that the Armenian Nation worldwide is ready and prepared to transform its vision of an independent, prosperous and dignified country into a reality. Q: What are the major achievements of Armenia Fund? A: Our main mission over the last 15 years was to provide critical socio-economic development through large-scale infrastructure development with focus on education, public health, access to clean, drinking water, roads and highways. Many are unaware but Armenia Fund, with all its affiliates, has invested over $170 million to build 287 miles of highways, 97 schools and kindergartens, 34 hospitals and health clinics, 132 miles of drinking water pipeline in 70 towns, 30 miles of gas pipeline, 410 housing projects, 21 sports and cultural facilities, 77 projects in the field of culture, education and science, and three major electric transmission networks. What we are also most proud of is our ability to have united the entire Armenian Diaspora in over 20 countries and five continents under one mission – rebuilding Armenia and Karabakh and becoming one of the most trusted institutions that has grown with Armenia since its independence. Q: Armenia Fund has been a most important part of Armenia’s socio-economic life since independence. What will be the role of the Fund in the development of our country in the forthcoming years? A: Like any other institution, Armenia Fund needs to evolve as the needs of Armenia change. Today, we find ourselves in a very different place than where we were 10 or even five years ago. As you know Armenia’s economy has experienced continuous double-digit growth and has transformed the standard of living of our people while achieving the highest human development index in the region. However, this positive development, unfortunately, has not reached many of our villages and rural communities where people continue to live in social deprivation, often in an environment of hopelessness. The eradication of rural poverty and revitalization of villages in Armenia — that’s where we will be concentrating our development efforts over the next five years. To be successful, we need to bring multiple organizations’ resources together and create a strategic plan for each cluster of villages. We are already assessing the needs of these clusters regarding health care, water, electricity, as well as economic needs, to make sure all problems are tackled. Why the cluster approach? The best way to explain is to provide an example: imagine that all roads are repaired together, thus cutting down on costs, imagine that communities share a water supply thus cutting down on costs again, and that they pool their products and find markets together. The cluster approach will support our vision for rural Armenia which is not just to address basic socio-economic needs but also to enable families and individuals to become self-reliant and self-sufficient. We need to make sure the next generations of Armenians believe in the future of Armenia. Our goal is to create the Armenian Dream for our citizens and make it possible for them to reap results from their hard work so that they come to believe that work and sacrifice will ultimately pay-off. Q: You have been with the Armenia Fund USA for some years now and are familiar with its activities and directions. Do you feel you will go ahead with what has been the policy of the East Coast Armenia Fund so far or will you need to explore new ways of doing things, such as fund raising? A: A successful institution needs to constantly reexamine itself and adjust its activities with new approaches. I believe for Armenia Fund to grow it needs to first start to act more as a philanthropic organization vs. a charitable one. The difference is very important. Charity is an act of giving as a result of deep understanding of someone’s misery and suffering, to help an immediate need, while philanthropy focuses on creating a sustainable long-term improvement in the welfare of fellow human beings. Also, we need to work closely with other specialized well-performing organizations and even support them financially if they are within the mission of the Armenia Fund. We can, together with international donor agencies, even initiate regional projects and serve as pilots for other countries. The Fund, as well as our community organizations, needs to understand that we need to move away from the “do-it-myself” mentality and start coordinating our efforts. Finally, we need to start broadening our core constituencies by focusing on the new generation of Armenians in the Diaspora as they will become the future supporters of our nation. Q: How successful has Armenia Fund been in attracting funds during the last five years. A: The number of our supporters has been growing, and the record $13.5 million pledged during the 2006 Telethon shows that we are moving forward quite steadily. Overall donations last year exceeded $20 million. We hope the urgent need for rural development will resonate even more among our supporters as it is an urgent one. Q: How do the Fund’s activities support the national economy? A: Poverty is still real in the rural areas of Armenia. We plan to reverse this trend, and make Armenia’s villages a thriving place to live and raise a family. Our Agricultural Initiative in Karabakh, where we have established Agricultural Development Associations, have created many jobs in over 21 villages, and have increased family income of association member farmers by at least 50%. I think the Fund’s contribution to Armenia’s national economy is substantial, especially as it concerns rural development. Q: Do you see the time when Armenia becomes a member of the European Union? How would this impact the present close ties with the Diaspora? A: I will leave this question to policy-makers. What we need to focus on as a nation is creating a country where there are all the necessary preconditions to become a member of the European Union. If we are economically independent and a fully democratic country with rules and regulations that rival those of the West, it becomes irrelevant whether we do become part of the EU or not. Let’s just focus on making ourselves successful and the rest will ultimately become our choice. 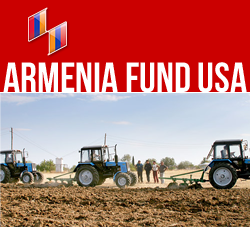 ABOUT ARMENIA FUND USA: ARMENIA FUND USA, founded in 1992, was the first of Hayastan All-Armenian Fund’s 18 international affiliates and serves constituents in all states east of the Mississippi. As a non-profit, non-governmental, nonsectarian organization, the Fund represents all Armenian constituents. Armenia Fund USA is the largest contributor among the 18 international affiliates – supporting strategic infrastructure projects in Armenia and Karabakh, and having helped build 138 miles of roads, 100 miles of waterways, 36 schools, 3 electric transmission networks, 210 residential buildings and 15 healthcare institutions. Armenia Fund USA’s Mission is the development of strategic socio-economic infrastructure in Armenia and Karabakh, focusing on major projects such as major highways, schools, drinking water to communities and humanitarian programs in education, training and medical facilities. The Fund has adopted a policy to go “Beyond Bricks and Mortar” to provide sustainability for projects it sponsors.